In 2009, Parkway established itself as a premier source for Paint and Laser Etching solutions. 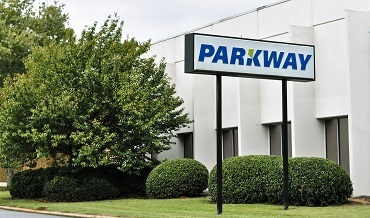 Parkway is one of only six companies in North America with this capability and can produce parts of the highest quality at the greatest production volume relative to the competition. The process produces components that use back-lit illumination for identification in low light environments, such as automotive window, lock and unlock knobs, steering wheel buttons, and dash switches. Parkway serves both the automotive and industrial markets with this technology. Once Thermoplastic knobs and buttons are injection molded from a transparent or translucent material, parts are loaded onto a pallet and sent through an automated multi-station paint line. 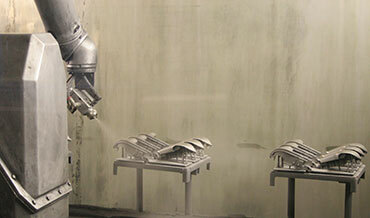 The parts are painted with white and/or colored top coats by 6-axis robots. The use of automation on the paint line ensures thickness control for exceptional visual appearance and part harmony, assuring all parts have the same paint coloration, shading, and gloss level. After the parts are painted, the pallets are moved to etching where a laser etches a precise pattern into the top coats of paint to show the underlying plastic or white coat. This allows a small light or LED to illuminate the etching while the painted area remains dark. Our Paint and Laser Etch is housed only in our Cobb facility in Marietta, Georgia. 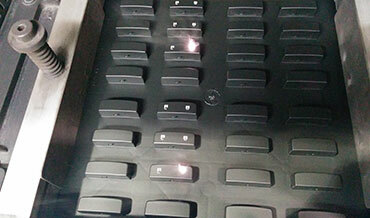 Superior quality and service allows Parkway to be a leading provider of decorative automotive painted knobs and bezels.